How many species of dinosaurs are currently known? Not all dinosaur species that have been found have been named. Currently, there are between 600 and 700 known dinosaur species. But there is a major caveat: only about half of these specimens are complete skeletons and usually only complete (or nearly complete) skeletons allow scientists to confidently say the bones represent unique and separate species. Amazingly, many scientists speculate there may be between 700 and 900 more dinosaur genera that have yet to be discovered. 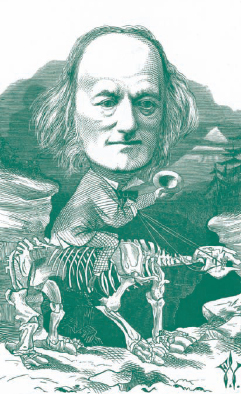 The English zoologist Richard Owen coined the term “dinosaur” back in 1842 (iStock).